A Few Scraps: Giveaway Day! **The Giveaway is over, comments are closed** Thanks for stopping by my first ever giveaway! 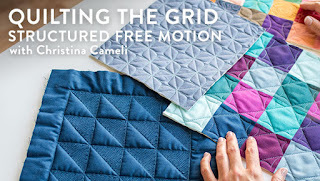 It's Giveaway Day hosted by Sew Mama Sew and I'm giving away an Omnigrid cutting mat. The cutting area is 8 inches by 11 inches. This is for someone who needs to cut some small stuff! To enter the drawing just leave a comment before noon PST on May 20. Additional entry: I am also trying to help a friend find someone who does HAND quilting (no machine involved!) for hire. 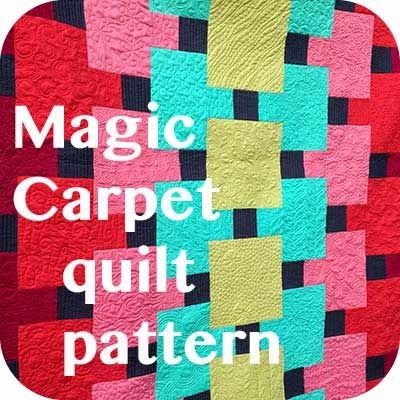 Earn one additional entry if you email me a phone number (and any other contact info) for a quilter who does hand quilting for hire in your area. Click on my profile link above to see my email address. Winner will be chosen by random number generator. I'll post here and email the winner. Thanks again and happy giveaway day! I could use a smaller cutting mat. Great for small projects. This is a wonderful giveaway, perfect for small pieces and to take to classes! What a great giveaway... this little mat would be perfect to put right by my sewing machine for quick trimming. That's exactly what I would need :-) A wonderful giveaway! great giveaway. i would love a small cutting mat! thanks for a chance. i dont know where in my area i can get a cutting mat so i hope this one finds its way to me. thank you for your generousity. oh, that's a great giveaway! perfect size for your hexagons!! Great giveaway. Great give away. Mats are always well used! I'd love to win a smaller cutting mat. I'd put it on my ironing board for small jobs. It is great that there are still people quilting by hand - I have been massively inspired by the Quilts exhibition that is on in the VandA in London at the moment! Little mats are good things! Some cutting is always tiny and being able to do it at the sewing machine would be a bonus. 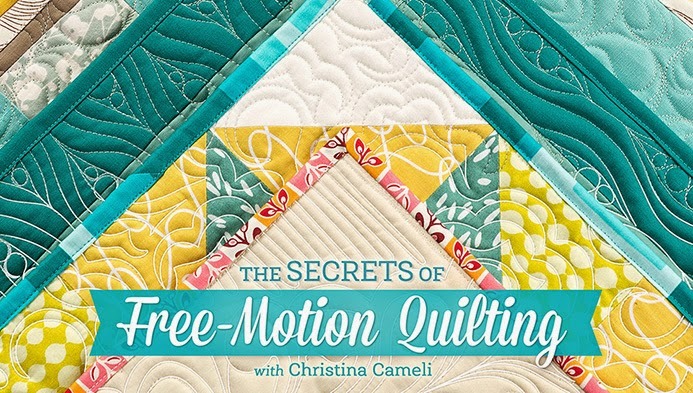 Great giveaway I want to get my stepmom started in quilting this would be great. you can never have enough mats! Ohhh, I only have a giant 24 by 36 mat currently so this would be handy! There are times when I hate dragging my monster cutting board around. Thanks for the chance to win! Cool cutting mat. It must have many great uses. Love those mats-thanks for the chance!!!!!! The small size would be easier to move around and use when space is at a premium. Great prize...thanks for the chance! Wow what a great giveaway! Thanks for participating in SMS giveaway day. And thanks for entering me! I could always use another cutting mat! Thanks for the awesome giveaway! Great giveaway idea - I dislike getting out my big cutting mat when a smaller one would do just fine. I've been needing a cutting mat. oh, this is such a great giveaway, I would need a small cutting mat. Thanks for the chance to win. Hop onto mine if you have time! Wow, great giveaway! This would be so helpful!! Good Mornin'....fab giveaway....I'm seeing so many people doing these hexagons that I just might have to give it a try!! What a lovely idea! Is there anyone who can't use a small cutting board? I love the doodling in the midst of your stippling. I particularly like the pea pod and the pumpkin. You have inspired me to try some of my own. One can never have too many cutting mats. Would love to win this one. Thanks for a great giveaway. The mat is perfect. Oh I sure could use this! Thank you! This is great! Thank you for the chance! Thanks for the giveaway, I need that mat! 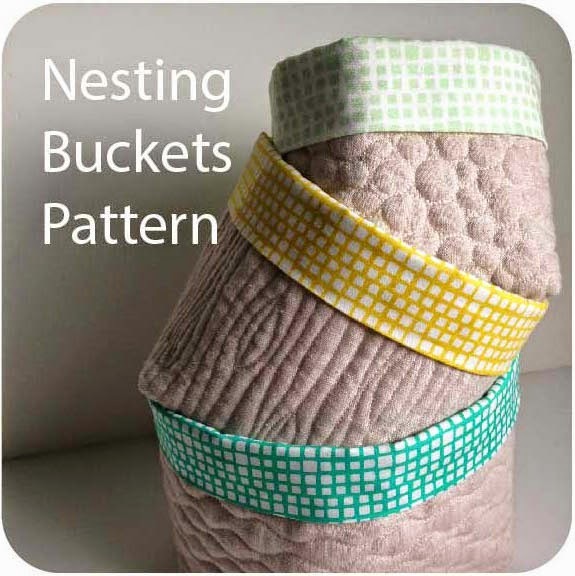 I'm just getting into quilting, and need stuff like this! What a fabulous idea for a giveaway. I can definitely use it! Wow! A cutting mat is a great prize. These are always needed. I use them more for cutting out my drafted pattern pieces, so I need a smaller cutting area. Terrific! What a great prize! Thanks! wow great giveaway ! thanks for a chance to win :) lovely blog by the way! Hi! I just started quilting and have NO cutting mat! Thanks! oh great mat! thanks for having a giveaway! I don't have a cutting mat, but I've just finished my first quilt, and hope to make more. This would be a wonderful thing in my life. Thanks for offering this giveaway! I would definitely use it! I just started sewing (again, I sewed on my mother's machine in college) and I could really use a cutting mat. Great giveaway! Love this mat size, and since I'm gathering tools for my daughter's sewing kit, this would be perfect! Thanks for sharing! this is a beautiful giveaway- I would give it to my sister who is just starting to sew and doesn't have cash for supplies. What a great giveaway! I would love to be entered and absolutely thrilled if I won! I do hand quilting for hire. I have never used a machine in my life, so everything I do is by hand. You can click on my name to see tons of examples on my blog. I'm not expensive either! But neither am I perfect. I'm good, but not as good as my grandma. Awesome! I don't do too many large projects so this would be perfect!!! I really need this, I am still using a yardstick and scissors. So cute - much better than trying to pack the big one without worrying about warping it. Wonderful giveaway! Please count me in. Thanks! 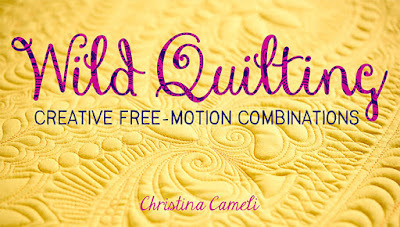 Wow, that would be a great list for you to post of people willing to do hand quilting! I wish I knew someone to earn an extra entry for this great giveaway. I would definitely put this to good use! I sooo need a new cutting mat! A fantastic give-away. What a nice giveaway.. thanks for the chance to win..
Oooh. I need a smaller mat to sneak into work! I would LOVE to win this! I have been dying to get a small cutting mat to take with me on the go but haven't been able to justify the indulgence. Thanks so much for the opportunity! Love this! I need a small mat to cut some 5 x 5 charm squares! Awesome giveaway! Wish I knew a hand quilter to pass along a name of, but I don't. Good luck with finding someone! ooohh! i'd love to win this. my small mats are on their last legs. this would be perfect for my, my current cutting mat is tiny, way too tiny. This is the perfect size cutting board to fit next to the sewing machine and do those little bits or to travel with. Thanks for the great giveaway. I could always use a cutting mat! Thans for the giveaway. oh I have been needing one of those! Great giveaway! :) I think I've killed my cutting mat! I love this small one,don't yet have any.Lovely giveaway. I need this!! My poor mat is almost in pieces. Thanks for the awesome prize! This is a great giveaway for your first one. Hi! Please count me in!! I could really use a small mat! Thanks for a great giveaway! I've decided to make my first hex quilt. This cutting mat would be perfect for cutting out all those tiny pieces. By the way, I love that you are a nurse-midwife. As a historian, I focused much of my studies on the history of medicine, and of midwives in particular. Thank you for a great giveaway! Now I will go check out more of your blog! Ooh, what a generous giveaway!! Thank you for the chance to win :) Come on over to Button & Bean for a chance to win my giveaway! THat little cutting mat would be just the thing for use on my kitchen table next to my half-size ironing board. That would be great for trimming, thanks for the giveaway! A smaller cutting mat would be great! It would be nice to have more options than just my humungo (much loved) one. This little mat would be wonderful for squaring up the blocks I am working on! Thanks for the chance to win! Oh how I need a cutting mat!! Crossing my fingers! this would be a wonderful win for me--my cutting mat got melted by the laptop and then colored on my by toddler--how I would love a new one! Great giveaway! I could sure use one of these. I have tried just cutting smaller stuff on my table and always mess it up! Wow this would be perfect! I have a 500 sq foot apt in Washington DC so this would be the perfect size for me! - meg(dot)thurgood(at)gmail(dot)com! 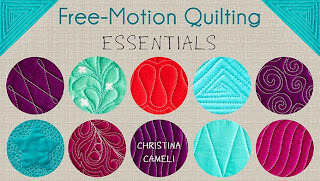 This would be great for my sister who is just starting her quilting/crafting journey. I've enjoyed reading some of your older posts while I was here. Hope your feeling 100 percent again. i'm sorry i cant help with the hand quilter, but im in for the giveaway. What a great tool to give away! Wonderful, usefule giveaway! I quilt often with my quilt group and would love to have a smaller mat to take with me! Nice blog. Great giveaway.....I could use it for scrap cutting on my my squares! Awesome giveaway! I've been wanting to purchase a smaller cutting mat for smaller cutting projects instead of having to drag out my big 23 by 23 inch cutting board. That would be so useful! Don't know any hand quilters for hire, sorry. Thank you for putting together this awesome rotary mat prize! Pick me Mr. Random number generator!! Ooohhh, Pick me!! I need one of these so bad! 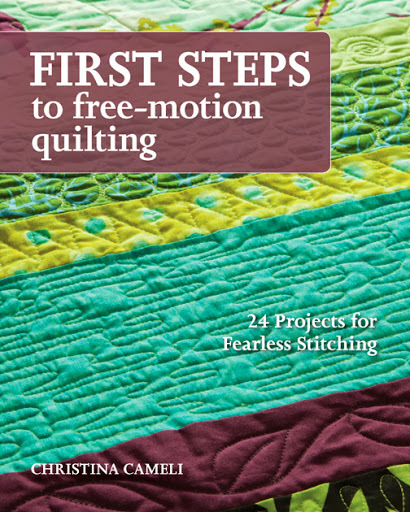 my mom always laugh that I am quilting without one! I don't have one of these but could really use one. I'm keeping my fingers crossed. Thanks for the chance. Ooh, I need one of these to correct all my crooked lines! Thanks for giving. this is a great giveaway...thanks for being so generous. this would be great for doing work with friends or classes. Great giveaway. Thanks for the chance to win. I love these cutting mats...it would be nice to have a smaller one. I would412 love a smaller mat!! Much more portable. i need a little cutting mat really bad! Forgot to give my other entry! I left my info as a hand quilter. I love your blog, great giveaway. Great giveaway - I have a large cutting mat and could really use a small one! oh, how perfect! i'm just starting to get into quilting, and just bought my first rotary cutter! A smaller mat like that would be great to take to classes! I would love to enter. I am 9, and I am hosting a giveaway on my blog, too. Great giveawy;I am a starter so I could use this. I am just a beginner at sewing and am starting to collect tools that will help me along the way. This is a perfect tool for my collection!! Thanks for participating! Would love a new matt! I'm just starting to sew so this would be perfect! this is an great item. love all you do. ohh love it, always useful!!! Oooh la la I super duper need this! I hope i win! This cutting mat would be very handy for me. Thanks for the chance to win! This would come in handy as my cutting mat has seen much better days! oh how I'm' crossing my fingers. We don't have cutting mats here in Colombia! Hi, please enter me in your drawing I will sign up as a follower. Look at my Etsy pattern for a hexagon potholder,. User ID thegardenangel. You may already have it but it is easy and likes to travel. Great giveaway, would love one of these! Sometimes I really need a small mat!! Thanks for the giveaway! Who doesn't need more cutting boards? A little one would be perfect for all those smaller projects. Thanks! A quilter can't have too many cutting mats. Thanks for the chance to win! Great giveaway prize! Thanks for the chance to win! Awesome prize! I could definitely use one of those! would love the win the mat, thanks for hosting the giveaway! hi there! i am also a sewer/nurse midwife!! this is a great giveaway! yay! I could use a new mat! thanks! I just tought myself to quilt and really don't have any equipment. This would be a great piece to have! wow, this would be super helpful to have. i don't know anyone personally who does hand quilting, but i know in my hometown there are a lot of women in different church groups who will do it and then donate the money to charity. what an awesome giveaway. my mat is such a mess, a new one would be lovely!! I would loooove me a cutting mat! I could use a cutting mat of any kind, and in my small apartment, a small one is probably best! Great giveaway. I have some tiny scraps I plan on using, so this would be great. Thanks! I love your blog! Very nice work :) :) Thanks for the giveaway!! That would be so great when I want to do some cutting in front of the TV. It will perfectly fit on my coffee table. I've tried a little handquilting but don't know anyone who does it professionally! Oh! I'd love a small cuting mat! Thanks for the great giveaway! Happy spring! Nice giveaway! Thanks for a chance to win a great mat! Oh Mama! What a ride!